Rob Astorino took the biggest prize election night in Westchester County when he was re-elected Westchester County executive by a 55-45 percent margin over Noam Bramson. Westchester voters validated Astorino’s first four years as county executive, and the promises he made, to put the taxpayers first, control spending, and pass three county budgets with a 0 percent property tax increase. “I came into office four years ago because the Westchester dream was becoming unaffordable. We have worked to find a healthy balance between the government we want and the government that the taxpayers can afford,” said Astorino, who congratulated Bramson for running a good and tough race. Bramson conceded early on election night and congratulated Astorino, while saying: “I’m more committed to public service than I have ever been.” Astorino’s victory is even more impressive considering the following obstacles he overcame to secure another four years as county executive: Democrats outnumber Republicans by a 2-1 margin in Westchester. Astorino won as a Republican and his message of controlling property taxes resonated with Democrats, Independents and Republicans. Astorino won re-election without the Independence line, the first time that any Republican has won a countywide election without it in decades. 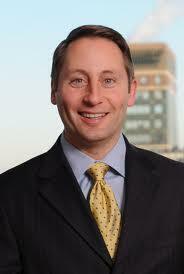 Four years ago, Astorino had the Independence line and received 8 percent of the vote on that line. This year he won re-election by 10 points without it, underscoring his appeal to a cross-section of Westchester residents who voted for Astorino regardless of party. High-profile endorsements for Bramson from former President Bill Clinton, Gov. Andrew Cuomo and almost every elected Democrat in Westchester and New York State did not equate into votes for Bramson, the Democratic mayor of New Rochelle. he voters validated Astorino’s campaign message of contrasting his record of controlling taxes on the county level to Bramson’s record as mayor of New Rochelle, of passing budgets that exceeded the property tax cap. And the voters rejected Bramson’s campaign message of contrasting his views on federal issues like abortion and gun control with Astorino’s, and trying to label Astorino as a Tea Party Conservative. In the end, the Westchester voters who came out Tuesday were knowledgeable and did their homework. They realized the county executive has little impact on abortion and gun control, and were most concerned about property taxes, and like the recent Marist poll, want their next county executive to focus on property ax relief. For the next four years, the majority of Westchester voters who believe that Westchester is headed in the right direction and who voted for Rob Astorino can look forward to a county executive who has imposed his own tax cap – of 0 percent.